UPDATE** The bugs have been driven off Roo Island and out of the Game Room! Hooray! 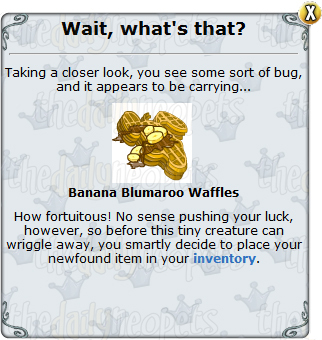 On Saturday, March 10, 2012, slightly after midnight NST, The Daily Neopets' resident parasite expert sent out a memo about a possible infestation of the new Games Room . Even Abigail seemed to have no idea what was going on. Some brave Neopians ventured to click the bugs and, much to their surprise, realized they were carrying things.